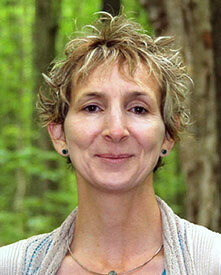 Patricia McDonald is a West Coast College of Massage Therapy graduate and has been practicing in Burnaby since 1989. She opened The Healing Way Clinic in 1997 and then in 2010, she partnered with massage therapist, Debbie Harvey to form The Burnaby Healing Centre. 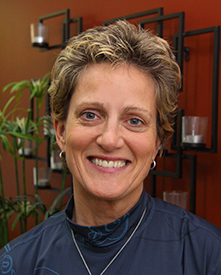 Patricia's approach to treatment is to maximize optimum health through correcting dysfunction in the body and allowing the well being of the individual to emerge. unblocking areas of the body where mobility and fluid flow are not functioning optimally. Molding tissues to create a better structure and function with the craniosacral system is my primary focus." 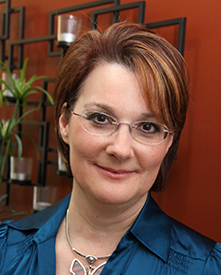 Debbie studied at the Sutherland-Chan Massage School in Toronto, the elite academic school of Ontario, and graduated in 1999 in the top 5 percent of her class. 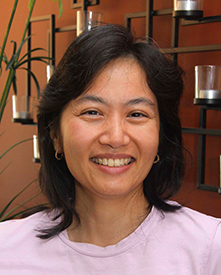 After a few years of practice she decided to return to hometown of Vancouver where she continued schooling for another year to be eligible to write the BC boards and she passed them in 2005. Christina Haverkort studied massage therapy in Toronto. After graduating in 2015, she moved back to BC for the love of the mountains, biking and outdoor activity. Christina works with clients with multiple issues, musculoskeletal imbalances caused by desk work, back pain, whiplash/neck injuries, postural, motor vehicle injury/sports or falls and including support to stress and anxiety. Patricia Coleman has been on the healing path for more than 20 years. When faced with medical problems not treatable with conventional medicine she took her healing into her own hands. She has found a way of integrating the knowledge she has learned through the study of Energy Psychology, Quantum Physics, Field and Chakra Balancing, Relaxation Techniques, Qigong and the Laws of Attraction into an effective tool, enabling others to heal and evolve. Clients come to address an array of concerns including health, emotional, relationships and career issues. In a safe, nurturing environment with compassionate support, free yourself from present stress, past paradigms and live the life that is your true potential! For further information: www.innerheart.ca and/or www.patriciacoleman.ca. 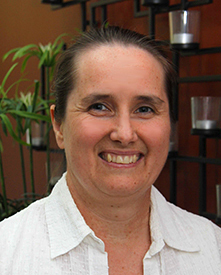 Sandra Jewell is a member of the Association of Holistic Practitioners and of the BC College of Teachers and was a teacher in Burnaby for over 30 years. Since her retirement in 2001, she has become an Intuitive Consultant and a Healing Practitioner, specializing in Reconnective Healing® / The Reconnection®. (see www.sandra-jewell.com for more details). 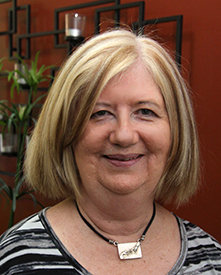 Sandra’s approach is to enable her clients to heal in mind, body and spirit through insights gained through her readings, as well as allowing the frequencies of Reconnective Healing® to work with the body’s “intelligence” to bring about healing on all levels: physical, emotional, mental and spiritual. Tracy graduated in General Nursing from Douglas College in New Westminster in 1987. She worked at the Royal Columbian Hospital while studying to obtain her Bachelors of Science in Nursing. Looking for a balance in health care, Tracy obtained her Dr. of TCM at the International College of Traditional Chinese Medicine (ICTCM) and at the Anhui University of Traditional Chinese Medicine in Hefei, Anhui, China. I believe Eastern and Western Medicine together can balance the body towards harmony and well being. © 2010 Burnaby Healing Centre || All Rights Reserved.